This is a square Huntley & Palmers porcelain sign. This particular Huntley & Palmers sign is predominantly green and red with white text. 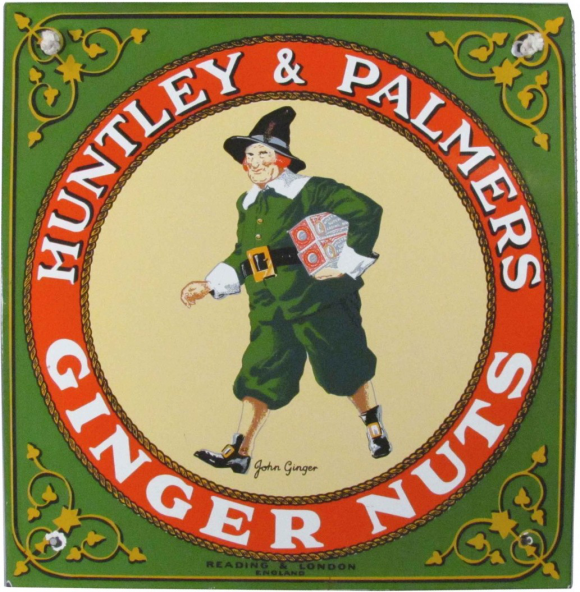 It reads, “Huntley & Palmers Ginger Nuts” and features a large man in a green outfit with a large gold belt buckle carrying boxes of Huntley & Palmers Ginger Nuts.